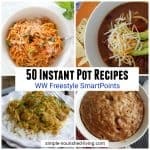 Home » Weight Watchers Recipes » Weight Loss Motivation Meeting Notes: Give Optimism a Try! Here are my notes from a past weight loss meeting where the topic was optimism. I’m a big believer in mind-body medicine and I’ve written previously about the link between Positive Thinking and Weight Loss Success, so I was excited to learn more. Question: Last week we talked about healthy snacking. 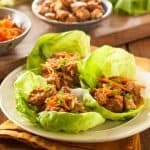 How did you change you your snacks this week? What was new and good this week? One member talked about how she had tried PB2 in place of peanut butter and was pleasantly surprised. 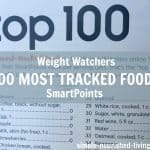 Others joined in on all the ways they use PB2 or PBfit in place of peanut butter for a considerable savings in SmartPoints. Other members had never heard of it and were excited to seek it out. Focused on fruits and veg for snacks instead of packaged stuff. 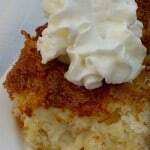 Adding in more protein has helped decrease sugar cravings. Made spinach and string cheese stuffed portabella mushrooms that were delicious. 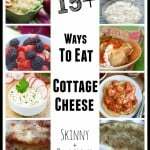 Another member shared discovering how much she liked adding salsa and chopped vegetables to her Greek yogurt instead of the fruit she usually adds. Plan for what you really want. Leave before the food is served. There is so much positive sharing that happens in weight loss meetings. I’ve discovered that regular attendance makes staying on track a whole lot easier. It’s the power of community at its best. There were several celebrations – two women met their 10% goal. We then talked about how losing just 10% of your initial body has incredible benefits for your health. Most hadn’t heard this which always makes me sad. 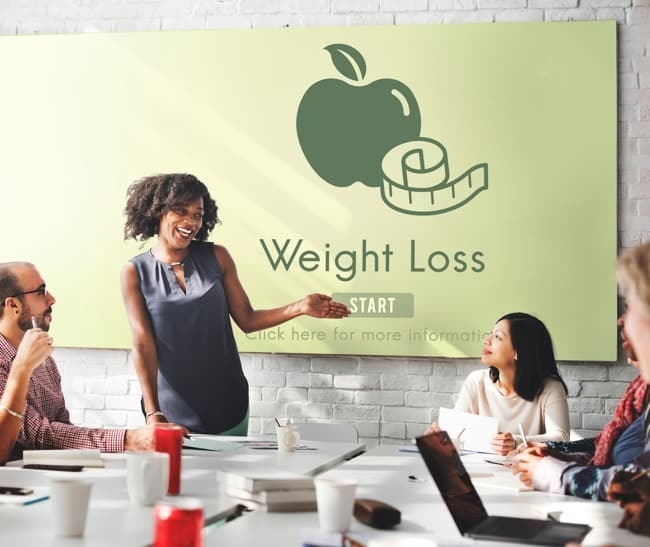 We get overwhelmed thinking we have to get to goal or agonizing over the last few pounds but all the real health benefits come with the loss of the first 10%. 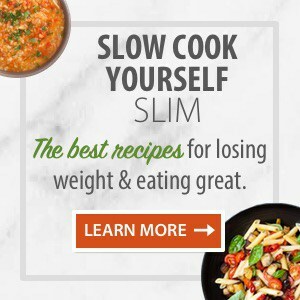 “…In recent years a steady stream of research has found that losing as little as 10 percent of body weight, or sometimes even less, has a disproportionately positive effect in improving health. Small weight losses significantly reduce the risk of a wide range of illnesses that have been linked to obesity, from heart disease and diabetes to some kinds of cancer. And according to this more recent Science Alert article, the biggest bang for your health buck comes with losing the first 5%! Question: What are some of the positive benefits you’ve experienced from losing weight? Question: What are you willing to try this week? I’ve written previously about the link between Positive Thinking and Weight Loss Success. So, imagine my delight at discovering that this week’s meeting was all about focusing on optimism. Research shows that people who succeed on weight-loss plans believe they’ll succeed. It’s about learning to see the silver lining in any situation. Giving yourself credit for what went right instead of beating yourself up over what went wrong. Ended up eating several donuts from the box left in the office lunch room? What’s done is done. Let it go. Hopefully you enjoyed them 🙂 Ask yourself what you can do next time to avoid going overboard. Avoid the lunch room until the donuts are gone? Ask a friend to fetch your coffee, water, or lunch perhaps? 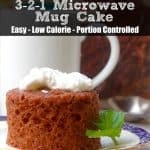 Tell yourself they taste awful and are not worth the calories? Imagine that some sick person has touched, licked or sneezed on them! Yuck, I dare you to dig in after that image sets in! Obstacles crop up in every journey, including weight loss. It can be a challenge to stay positive in the face of them. But the most successful “losers” are the ones who simply refuse to give up. They are like the energizer bunny: they just keep going and going and going. They achieve their goals by persevering, learning from their mistakes, and choosing to look on the bright side. We’re all prone to negative thinking. The problem is that it can hold us back. A more effective approach is confidence and positive thinking coupled with realistic expectations. Let’s say you step on the scale and see a gain or a smaller loss than you expected, or no movement at all. What happens next? Do you beat yourself up and throw in the towel? Or do you look at the big picture and remember how far you’ve come? Do you take a look at the past the week and see where you might make a change? For longterm success, we need to stop thinking in terms of success and failure, and instead consider everything just feedback. We are learning what works and what doesn’t, both of which are important. Coat a large nonstick skillet with cooking spray and set it over medium-high heat. Add the beef, onion, ginger and garlic. Cook, breaking the beef up into crumbles, until it is browned and the and onion is soft, about 5 to 7 minutes. Add the bok choy, mushrooms, red pepper and soy sauce. Cook, stirring occasionally, until the bok choy is wilted and the pepper is crisp-tender, about 4 minutes. 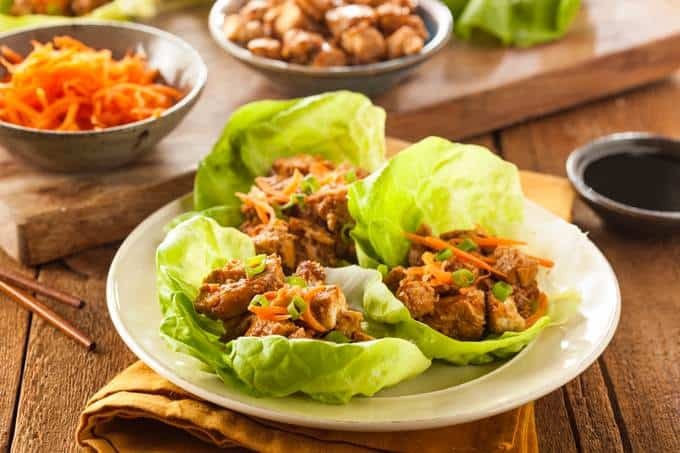 Spoon about 1/2 cup of beef mixture into each lettuce leaf. Yields 2 filled leaves per serving. Serve with extra soy sauce if desired (could affect POINTS values). 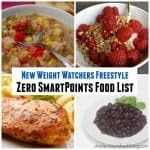 Previous Post: « What Foods Have Zero SmartPoints on the New Weight Watchers Freestyle Program?